CSOs are usually influential in promoting good governance, human rights and fighting against corruption. 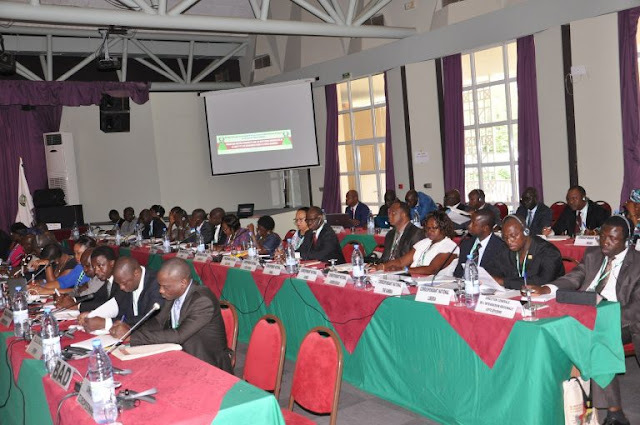 GIABA Photo: A regional stakeholders meeting in Dakar on emerging global trends in AML/CFT. A West African anti-money laundering agency on Friday says it recognizes the immense potential of civil society as collaborators in the fight against money laundering. The Inter-Governmental Action Group against Money Laundering in West Africa (GIABA) is holding a Sensitization Workshop for Civil Society Organizations (CSOs) on Anti-Money Laundering and Counter-Financing of Terrorism (AML/CFT) Requirements for ECOWAS member States in Banjul, The Gambia. The objectives of the workshop, holding from 24 to 26 July, 2017, are to educate CSOs to carry out awareness campaigns to influence an effective implementation of AML/CFT measures, the agency said in a pre-event statement on Friday. It is also meant to utilize CSOs’ platform for the dissemination, publication and sharing of GIABA information to the citizens of West Africa, and to effectively engage the civil society organisations in the fight against money laundering and terrorist financing. The workshop, which is the fifth in a series, is one of the flagship programmes of GIABA to involve the citizens of West Africa in efforts aimed at fighting money laundering and terrorist financing. GIABA says one of its core Strategic Goals since 2011 has been the promotion of strategic partnerships with the private sector, civil society and other key stakeholders. “Increasing ML/TF awareness among civil society is crucial to empowering citizens to take appropriate action against ML/TF,” it says. Topics at the workshop will cover “The Role of Civil Society Organisations in AML/CFT Advocacy in the Context of GIABA 2016-2020 Strategic Plan”. The training will be delivered by GIABA faculty and regional experts with extensive working experience in the private sector and governmental institutions. A variety of teaching methods will be used, involving lectures, presentation of case studies, group work and sharing sessions. According to GIABA, it is expected that at the end of the Workshop, there would emerge improved collaboration between GIABA and the civil society organisations on one hand, and among CSOs on the other hand. CSOs are usually influential in promoting good governance, human rights and fighting against corruption.